When it comes to financing your solar installation, there are a few options. Each of these has their own pros & cons. Your Soleez solar relationship manager will help you choose the best based on your situation. Quick and easy and the return on investment(ROI) is high. Break-even through savings from utility bill is within 2-8 years. Loan process with your bank or credit union will take time. Interest payments could be offset with tax breaks. Break-even period is between 4-10 years. Quicker to process than home equity line. Zero or very little down-payment required. Interest payments could be high and without any tax breaks. Break-even period is longer. Quicker to process. Zero or very little down-payment required. Interest is blended into a single monthly payment over a contract period. No tax breaks or rebates. Maybe an issue when your home is sold. Quicker to process. Zero or very little down-payment required. Financing company becomes your electric utility company. 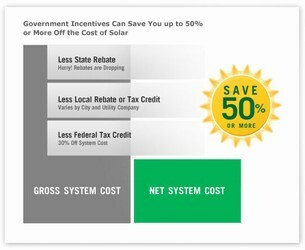 No rebates/tax incentives. Break-even period is not applicable as you pay for the life of this system. Maybe an issue when your home is sold.